How Much Are You Overpaying Because of Unidentified Toilet Leaks? One high-volume leak can tack on an extra $10,000+ on an annual bill. One medium-volume leak can tack on an extra $1,200+ on an annual bill. One small-volume leak can tack on a couple hundred bucks onto an annual bill. Of course, if a homeowner gets an unusually high bill, they’ll immediately investigate: Has there been a mistake? Did someone accidentally leave the water running? Do I really have to pay for this?! Eventually, someone will bring their attention to the unassuming toilet. So, they lost a few hundred bucks that one month – big deal. At least the problem was solved. Would you really know if your bill was too high? Apartment building water bills routinely run in the thousands, making it all too easy for landlords to overpay month after month without realizing it. And from what we’ve seen – most are. If you're one of the landlords who already knows toilet leaks are an astronomical drain on profits, you've undoubtedly tried to tackle the problem. 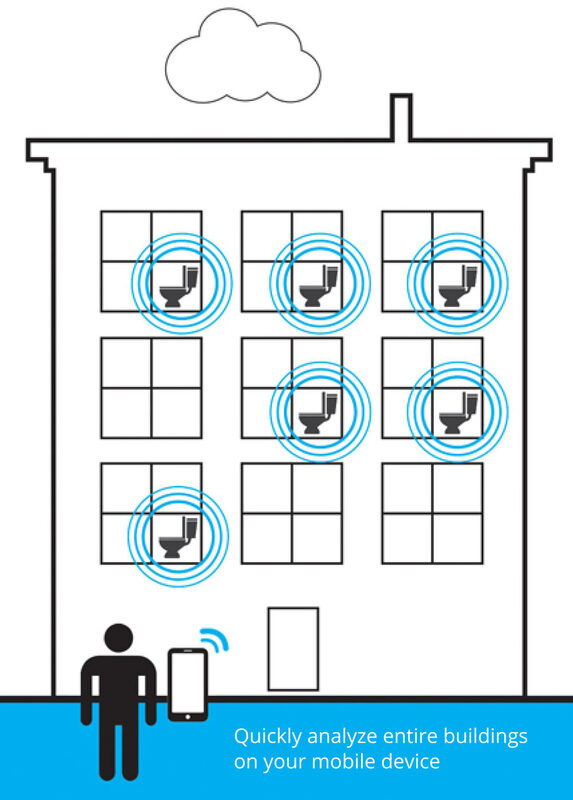 Ordering maintenance to conduct site-wide toilet inspections isn't a bad idea. 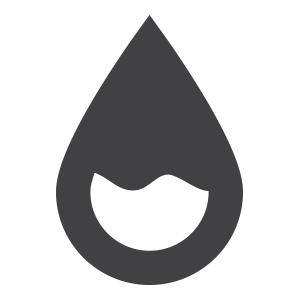 Unfortunately, its nearly impossible to execute and find and fix all the leaks manually! Maintenance staff would literally have to inspect every toilet on a weekly basis to make such inspections even remotely effective. Identify 20 leaking toilets on your property one month, and 20 different ones will be leaking the next! Put simply, you can't predict which toilets will begin leaking next during routine inspections. And having maintenance devote that kind of time to toilet monitoring just isn't practical. Sometimes that’s because they’re not personally bothered by them. And why would they be? You're the one footing the bill. However, more often than not, they’re simply completely unaware of the leak’s existence. The reality? Most people don’t know a thing about toilets: Is that a normal sound? Do leaks always make noise? What should the inside of the tank look like?Confusing the matter even more, some leaks will appear for a short period of time, seemingly stop and then start up again! Due to the aforementioned issues, knowing with 100 percent certainty that 20 percent of your toilets aren't leaking at any given time is next to impossible. New York City charges $10.08 per 100 cubic feet (or 748 gallons) of water. So if you have 500 toilets in your buildings, you’re losing $121,238 per year just because of those consistent 100 unidentified toilet leaks. And that's assuming you have only medium leaks. 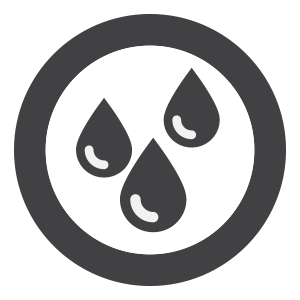 Find a couple large leaks and those costs could easily be multiplied.The unfortunate part? Fixing most of these leaks is as easy as replacing a worn toilet flapper. Further factor in toilet overuse; outdated high-flow models and any potential on-site leaks, and you’re looking at an even bigger water bill. The perfect tool for controlling community water costs. 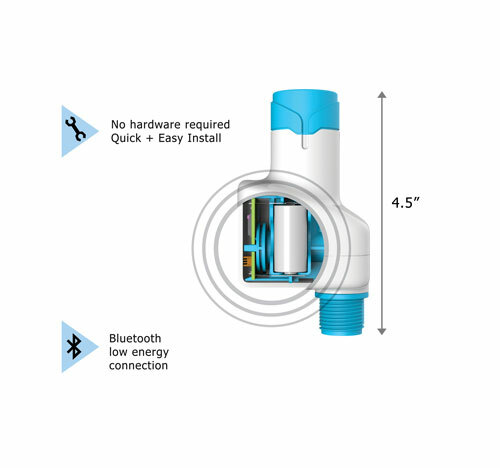 The Water Scrooge system takes the uncertainty out of managing your water budget. 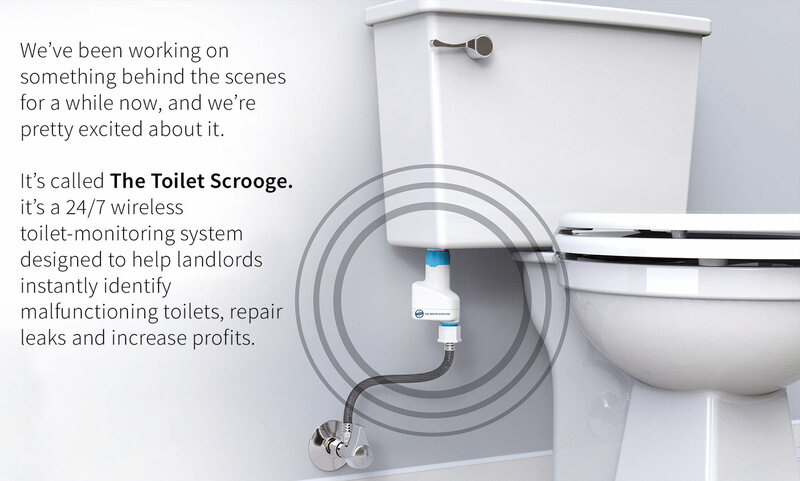 Put simply, The Toilet Scrooge gives you a bird’s eye view of your building’s toilets, allowing you to pro-actively fix issues that would have otherwise gone unidentified. 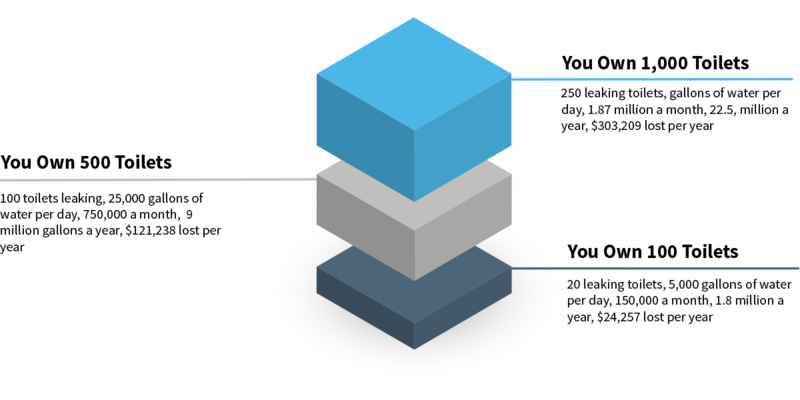 Want to Learn More About Water Savings?